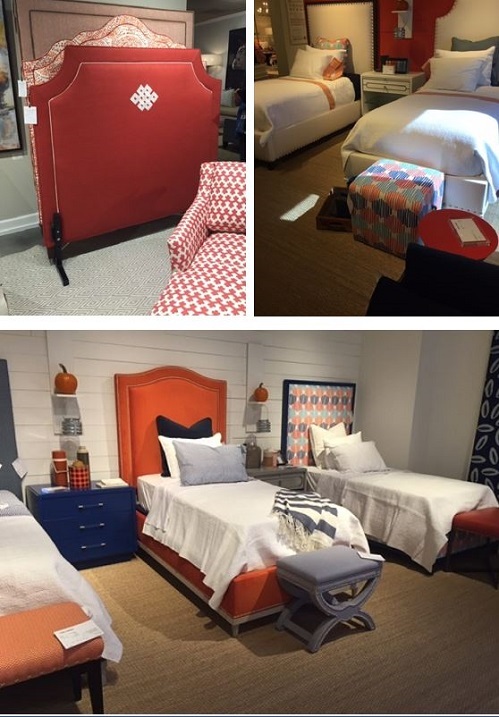 The International Furniture Market which was held in October in High Point, N. C. displayed a plethora of exciting design ideas for the home. 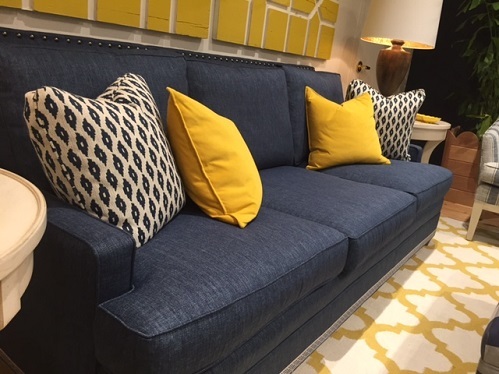 Accessories, upholstered furniture, artwork, and lamps were featured with a flair. 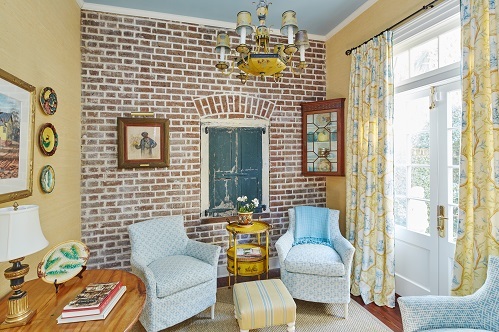 The presentation of new styles always entices market attendees to update their homes. 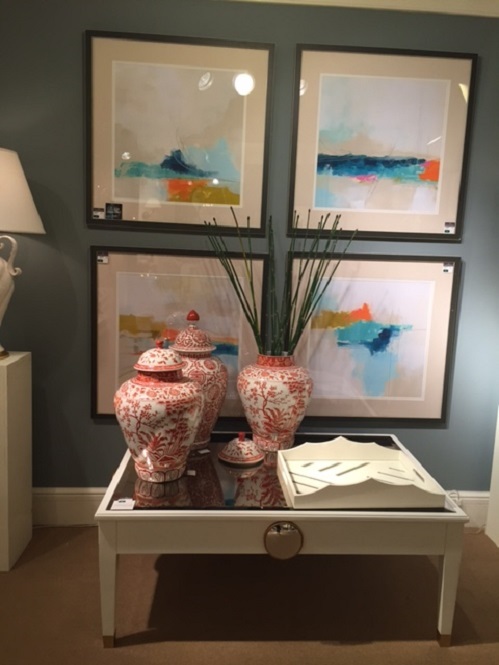 Collecting decorative items and arranging them together in a new grouping can make everything look new. 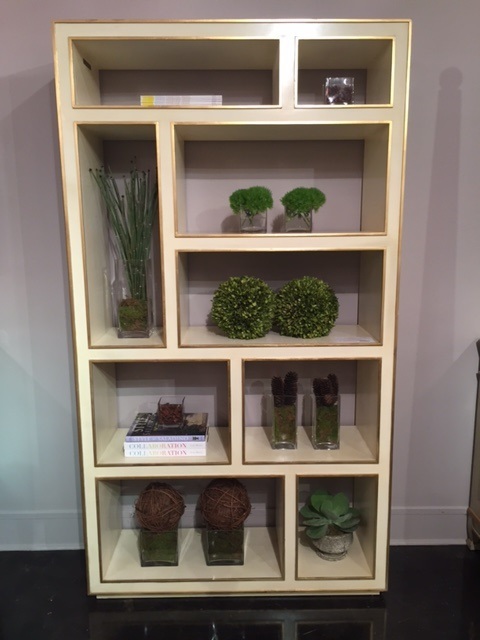 This bookcase is cleverly decorated with green floral designs and books. 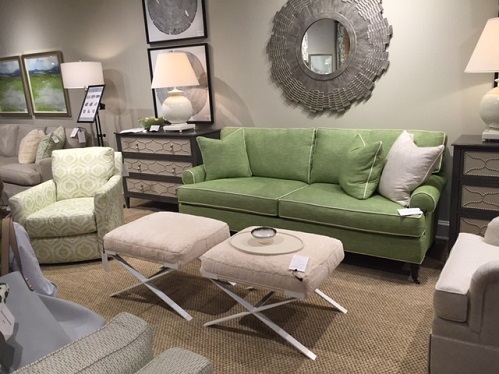 Lively green fabrics paired with white and silver accents look great together. 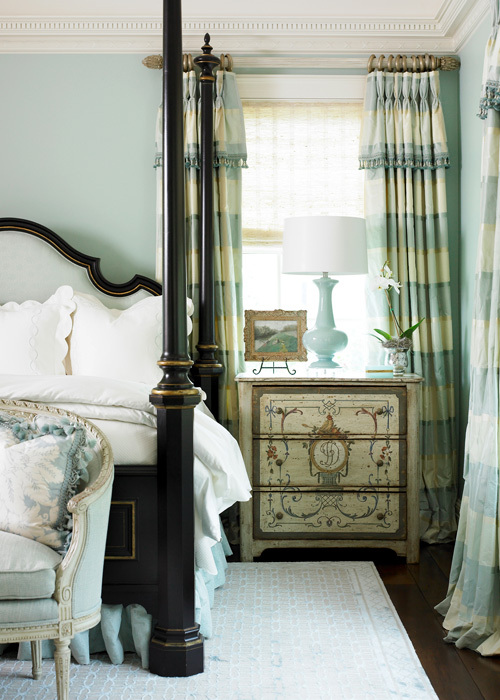 Colorful headboards can be the impetus for a bright bedroom. 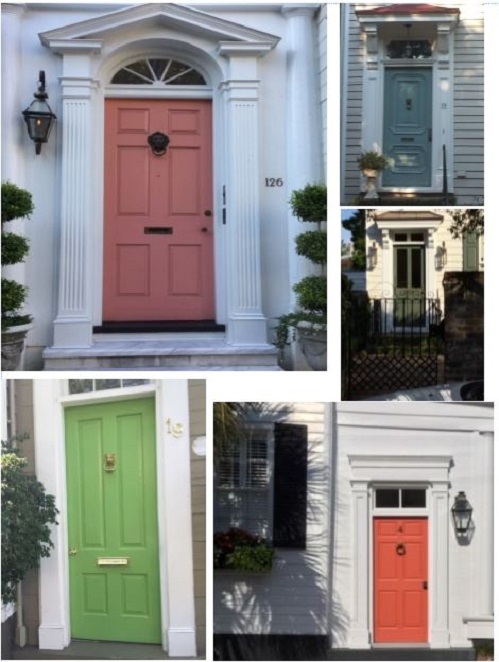 If you’re ready to add a bit of color to the exterior of your house, consider a unique color for your front door. 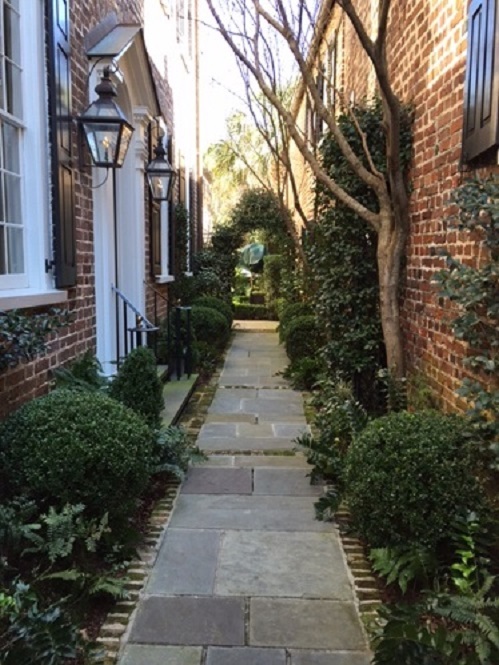 These were examples I found in Charleston that really spice up these houses. I will really miss this house! As professional designers, we often work very closely with our clients in building or renovating their homes. 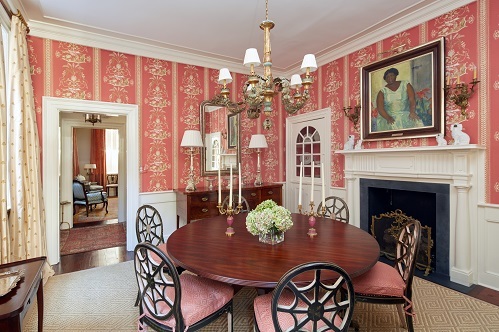 We agonize over every decision for wiring, plumbing, wood trim, flooring, and tile as well as the “pretty” ones with fabric, wallpaper, furniture, and paint, as if they were our own. These houses become a part of us, and it is hard to tell them goodbye. 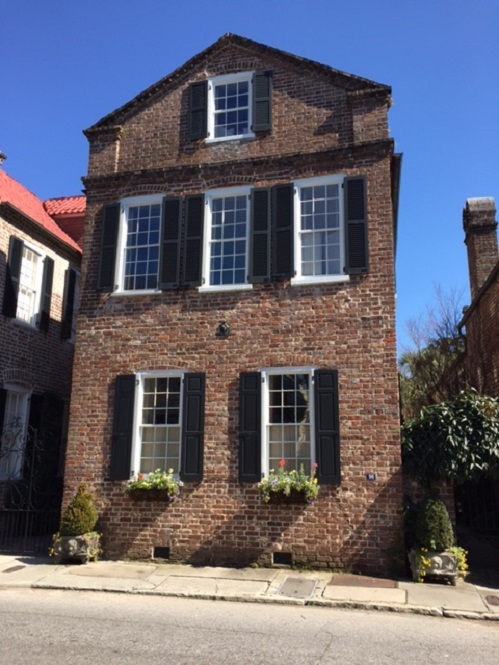 I recently had a beloved project in downtown Charleston be put on the market and sold. We had worked on the renovation for over a year. 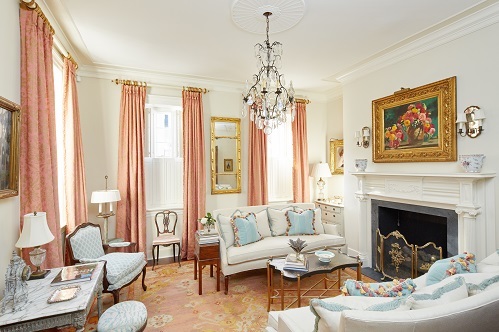 I knew every intimate detail of this house and was involved in almost all of the decisions for it. I frequently got to stay there and enjoy our work. So, the owners and I began the sad process of saying goodbye to the house. One last visit in April, and then my wonderful installers arrived to start the dismantling process. We’ve packed it all up ready to go to the next house in another city. It will be a year or two as we start another renovation. 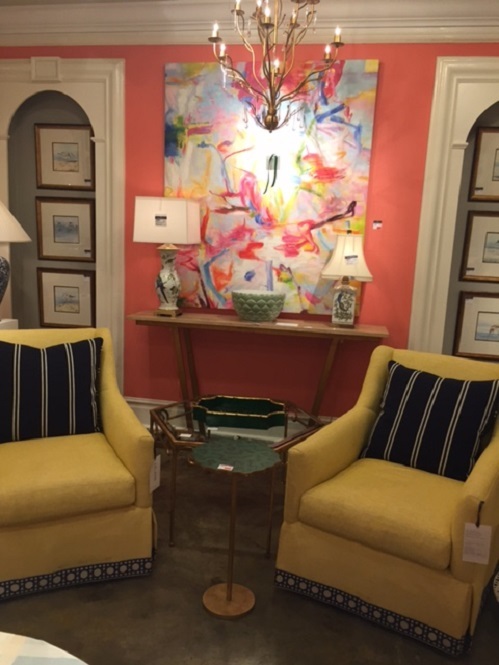 We will find a place for all of the beloved furniture, artwork and fabrics. Some will change form or move to another place. Some won’t fit in the new house. Maybe it will go to a son or daughter’s house. Life does constantly change. But I will really miss this house!